Our clients look beyond the bottom line, seeking to integrate core values into sustainable practices that help their organizations grow. The foundation of our firm rests on the conviction that values-based decisions help organizations flourish. 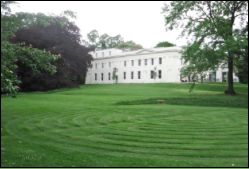 Learn how we helped Europe's only Quaker study center build a stronger collective vision. See how we helped a New Jersey congregation develop strategic goals in accord with its values.